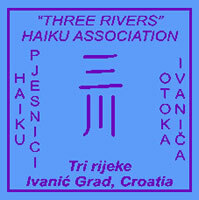 We received haiku by 72 authors from 26 countries. The Selector was Carole MacRury. Indije, Italije, Kanade, Nigerije, Njemačke, Novog Zelanda, Poljske, Rumunjske, Rusije, SAD-a, Singapura, Sjeverne Irske, Slovenije, Srbije, Švicarske i Velike Britanije. “Nitko neće spavati” je arija iz završnog čina opere Turandot, Giacoma Puccinia. Congratulations to all awarded authors. Many thanks to all poets who joined our competition. Our Pumpkin Festival “BUČIJADA”will be held on October 13-15 in the town of Ivanić-Grad, Zagreb County, Croatia. We will send your diplomas by e-mail. We’ll publish an anthology KABOCHA II, where will be collected works from three contests (2017-2019). Then, we will send you this publication as a gift. Hope you stay with us and remember, Gourd is occasionally used to describe crop plants in the family Cucurbitaceae, like pumpkins, cucumbers, squash, luffa, and melons. More specifically, gourd refers to the fruits of plants in the two Cucurbitaceae genera Lagenaria and Cucurbita, or also to their hollow, dried-out shell. A gourd can also have a hard shell when dehydrated. (Wikipedia). Dehydrated it had many uses in common life in the past. So, take a walk in your garden, in the field, into our past, take a look around and let these wonderful plants be part of your haiku-way-of-life. They were used as the first water containers for humans! They are grown all over the world! This Spring we planted a single pumpkin seed under our balcony, it gave us 14 beautiful ornamental pumpkins despite a long drought! Many thanks to our selector, Ms Carole MacRury! Our next PUMPKIN HAIKU CONTEST ends on June 30, 2018 and we wait for your work with much enthusiasm and joy!